Hi there everyone!!! It's Angela again with a fun card to share with you. I don't often make masculine cards but as soon as I saw the Authentique Thankful paper pad, I knew I had to create something fun with it. 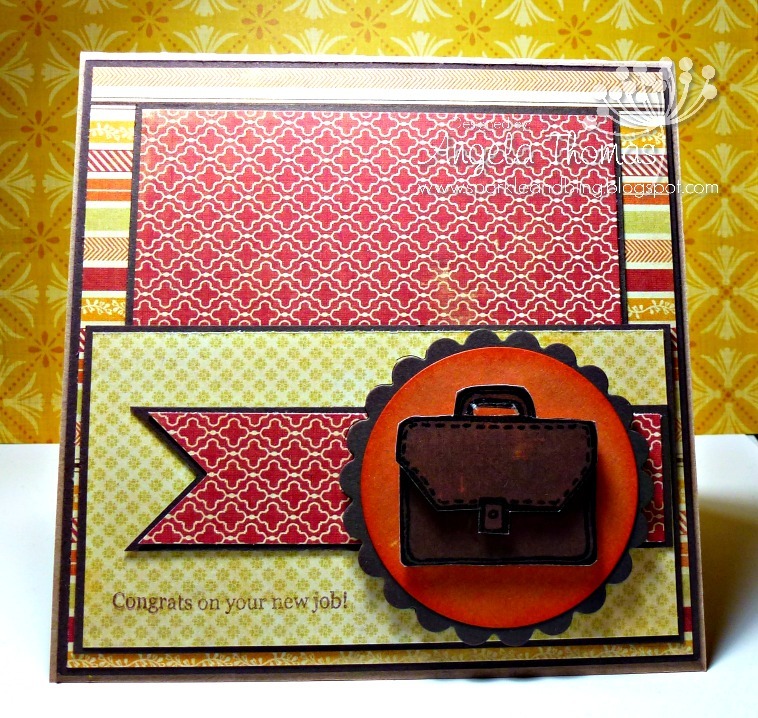 The colors in this pad are perfect for any masculine card. It has definitely inspired me :-). What better to pair with this fantastic DP than the Sweet Stamp Shop set called "It's a Man's World" which I noticed is currently on sale at the store. Who doesn't love a bargain? LOL!!! The briefcase was stamped twice and then popped up using Scotch Foam Mounting tape. The sentiment was stamped using the Memento Rich Cocoa Ink. The layout for my card is from the current Sweet Sunday Sketch challenge. Thanks for popping by!!! I'll be back next Wednesday with another fun project for you. So smart and stylish, love it! Love this masculine card. Like you, I don't make too many of those! Great idea for a man card.